There are more than 200,000 financial advisors in the U.S., but don’t let that deter you from joining the fast-growing industry. According to a 2017 report, “The Changing Face of Financial Advice” by Corporate Insight, financial advisor activity is at an all-time high. Advisor are confident in their growth prospects and expect to be doing even better in years to come. How do you become one of those advisors? It starts with a easy-to-find, easy-to-use website. Although many think their social media accounts should suffice to attract business, websites continue to drive business. 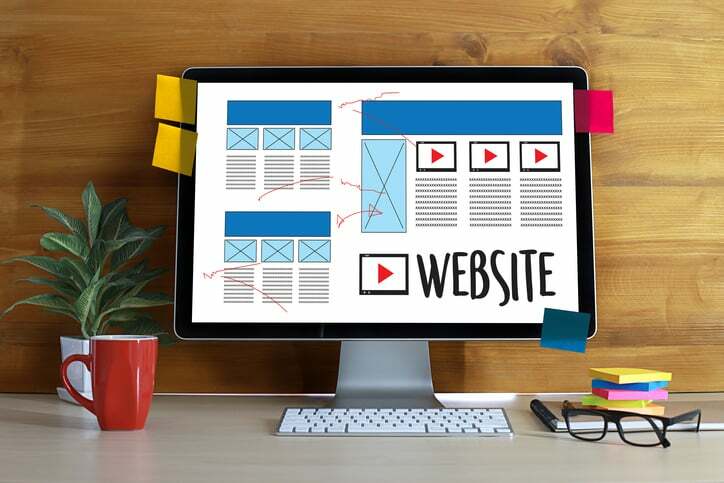 You will probably want to hire a professional to design your website, there are some things you should be aware of and think about before getting started. Here are tips help. Finding a good domain name (your web address). Typically, this would be your name or your firm’s name, depending on your specific circumstances, but consider adding a keyword that tells people what you do, such as financial advisor or wealth management. Keywords help people find your business more easily. Search for what domains are available and register your domain once you’ve decided on one. You’ll have to pay annually to keep the name. Next, come up with a professional email address tailored to your domain name. You want to make sure you meet your prospects’ needs, but also your website should be used to raise awareness, tell people what your business stands for, collect leads, and encourage people to contact you. In addition, spend some time thinking about colors, typography, font size and other design aspects. You want everything to be easy to read, but also for it to evoke the feelings you are trying to capture. Do you want prospects to feel safe and secure? Anxious about not having enough for retirement and should hire you? Confident that they can trust you? Did you know the “about us” page is one of the most read pages on a website? People want to know who you are before they form a relationship with you and they want to see a photo of you. The About page should include all of your professional qualifications, but feel free to put some personal information on there too. Did you live in Italy for a few years? Do you raise chickens? Were you named volunteer of the year at the animal shelter? People can identify with you through your hobbies and non-work life. Make sure to prominetly display your office’s address and phone number throughout the website such as on the header and the footer, in addition to a separate “contact” page. Prospects don’t want to spend the time hunting for your contact details. Be sure to claim your business listing on Google via Google My Business. It will help clients find you in Google Search and Maps and lists your contact details, link to your website, directions to your office, photos and reviews. Once you’re registered, you can respond to customer reviews and get “Insights” reports that show how people find your information on Google. Make sure the website is responsive (meaning the look and functionality looks the same no matter the user’s screen size) and that it’s mobile-friendly. With half of all searches done exclusively on mobile, Google has said it penalizes websites that aren’t mobile-friendly in its search results.